Award Turf Fertilizer with Surge contains fertilizer, 2,4-D, mecoprop-p, and dicamba. 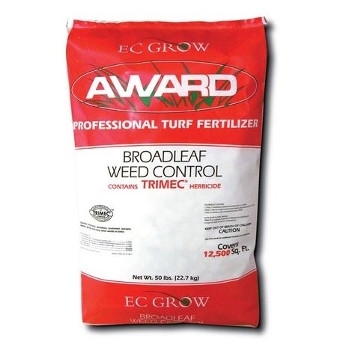 This granular weed and feed provides plant nutrients and controls a broad spectrum of broadleaf weeds in turfgrass. See product label complete Directions for Use.